Priyanka shared a loved up snap with her fiancé, as they arrived in Delhi, India on Thanksgiving day. 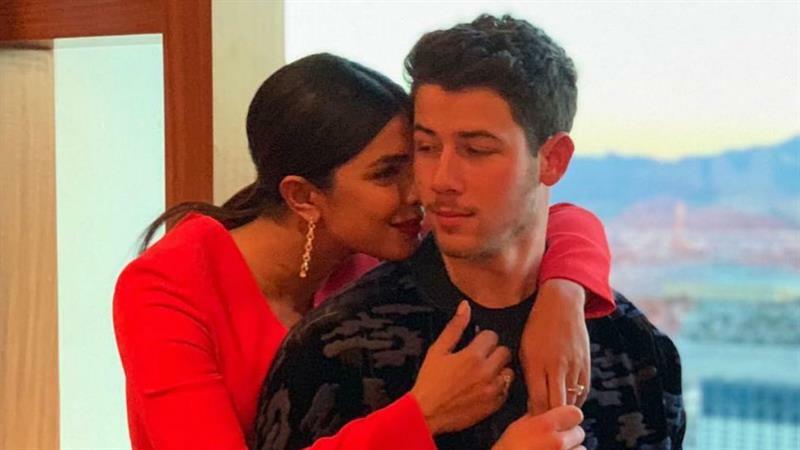 “Welcome home baby….” Priyanka wrote. On Thanksgiving eve, the JoBro teased fans saying he was leaving New York City. “See you later NYC…” he tweeted. Their arrival in India is right ahead of their wedding. They are set to tie the knot on Dec. 1 at Umaid Bhawan Palace in Jodhpur, India, a source previously told Access. The “Quantico” star will be “paying for a lot of it,” the source also told Access. There are expected to be 300 guests, and Priyanka’s bff Meghan Markle might even be in attendance. Nick’s big brother Kevin also dished to Access earlier in the week about how happy he is for Nick as well as their brother Joe, who’s engaged to Sophie Turner. Now all we have to do is wait to see Priyanka’s gorgeous wedding dress!